Warning: This review contains spoilers for the stories in these books. If you’ve not read them yet and don’t want to know what happens, I suggest you go read them first. 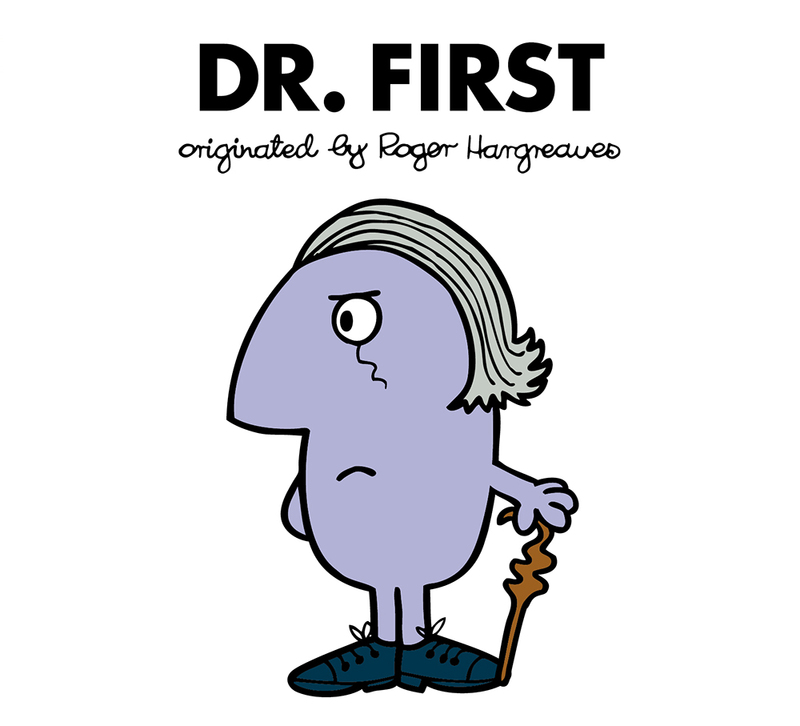 The First Doctor seems like a perfect choice for a Mr Men character, with his grumpy but friendly persona. As such, he translates perfectly in the book. 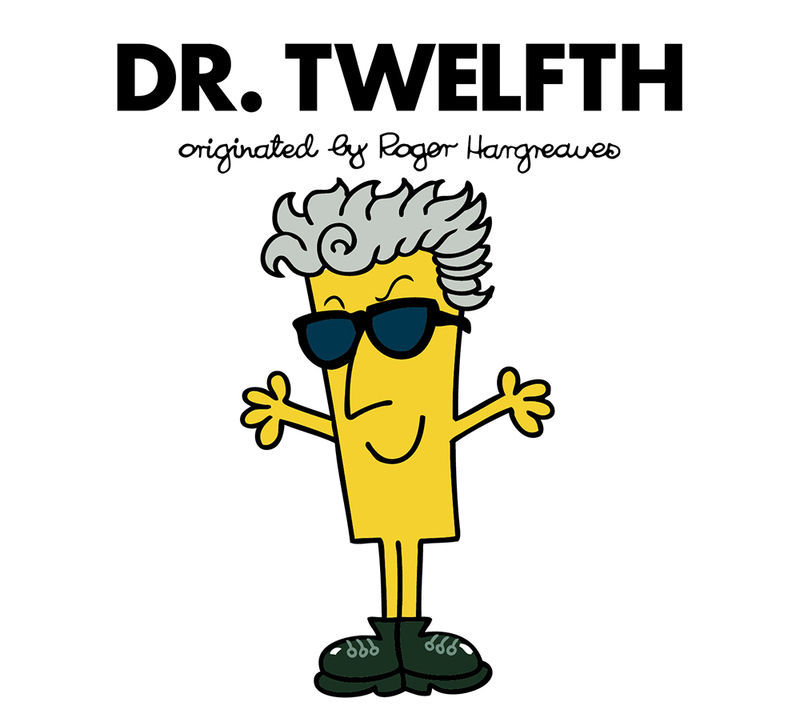 His dialogue and actions very much resembles the Hartnell performance we know and love, with a dislike for being called ‘Doc’ and a curious nature. The first Doctor looks great, with a saturated body colour (hinting at the black and white version of his era) and the iconic hair, as well as the monacle and walking stick accessories. Hargreaves has also captured Susan’s likeness very well and managed to make the Cybermen just friendly enough for kids, whilst also maintaining the menacing look. The TARDIS interior is also beautifully illustrated. We see the Doctor travel to Earth with Susan to fix the TARDIS, only to be faced with Cybermen and hippies. The story itself is a fun little romp, with a few surprises and some British culture thrown in as well. 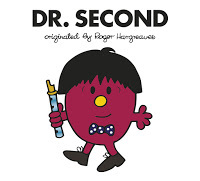 The Second book in the series features a great take on the Second Doctor. 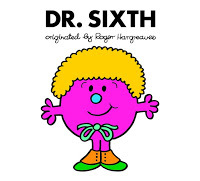 Again, Hargreaves has got the look and personality of the Doctor spot on, with the iconic hairdo and bow tie. He also has some great dialogue, with fancy words and a bit of a short temper when it comes to mocking his TARDIS. We also get his catchphrase “Oh my giddy aunt” no less than three times, which does start to feel a little forced. Jamie and Victoria are also well realised, although Jamie seems to have become more of a stereotypical Scotsman. The story sees the trio explore a museum, before Jamie and Zoe are kidnapped by a group of Yeti. The Yeti aren’t quite as faithful to the originals, with a more generic ‘teddy bear’ look. The plot itself is exciting and, being set in a museum, features some interesting visuals. The third installment is where the accurate likeness falters a little. Whilst the Third Doctor did occasionally wear a bow tie, he’s not particularly known for them in the same way the Second or Eleventh Doctors were. 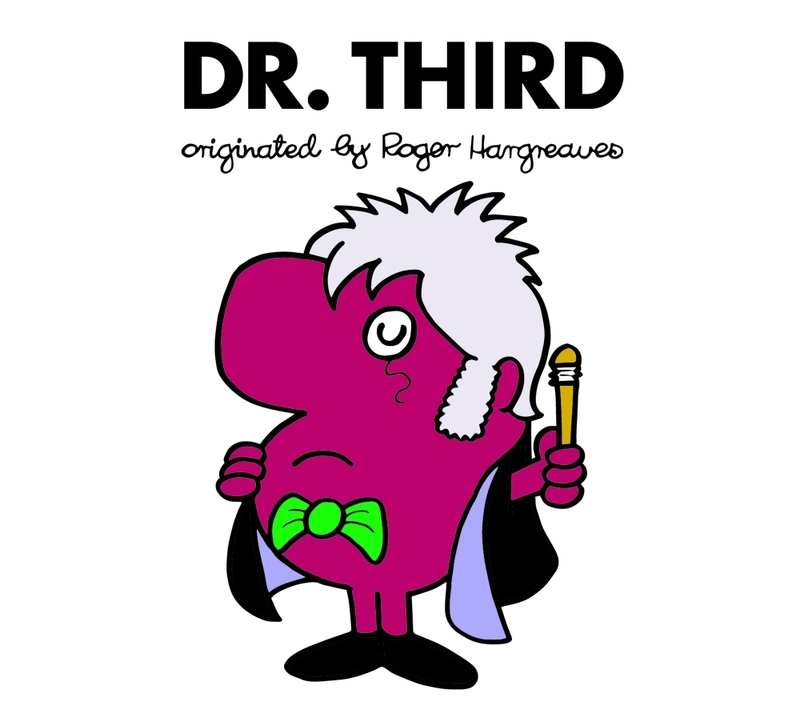 The monocle is a baffling addition, as I’ve never seen the Third Doctor wearing one and after quite a bit of research I only found one photo with him wearing one. I’m also not entirely sure what he’s meant to be holding on the cover. If it’s his sonic screwdriver, it’s a poor effort. However, the character is still recognisable, thanks to the tufts of white hair, giant conk and general air of grandeur. The story follows the Doctor driving Bessie back to UNIT HQ in a hurry to complete an important mission. On the way he picks up a few old friends – Mike Yates, Liz Shaw and Jo Grant – and has an encounter with the Ice Warriors. It’s a fun little story that has you wondering what the Doctor’s mission could be, and the payoff is sure to bring a smile. Mike Yates and Liz Shaw are splendidly illustrated and instantly recognisable – Jo Grant less so. The Ice Warriors are quite detailed for Mr Men characters, but they look great. Sadly they don’t have any dialogue, so we don’t get their trademark hissing. 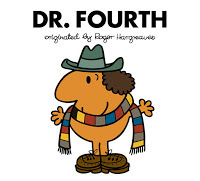 If ever there was a Doctor that suited the Mr Men style and humour, it was always going to be the much loved Fourth Doctor. His image is captured perfectly, with the curly locks and multicoloured scarf. My only quibble is with the green hat, rather than his usual brown Fedora. The orange is a good choice for his body, as it reflects his vibrant and energetic personality. Sarah Jane is also brilliantly realised. The story sees the Doctor and Sarah Jane Smith trying to fend off a group of Daleks. Pairing this Doctor with the show’s most famous villains seems like a good way to entice potential fans who may be aware of Tom Baker’s Doctor and the Daleks. The Daleks are quite simplified and a lot more flexible than usual, giving them more of a sympathetic look. One Dalek – quite humorously called Dale – is even quite, dare I say it… cute. Overall this is one of the better stories, with plenty of laughs and recognisable elements from the show. 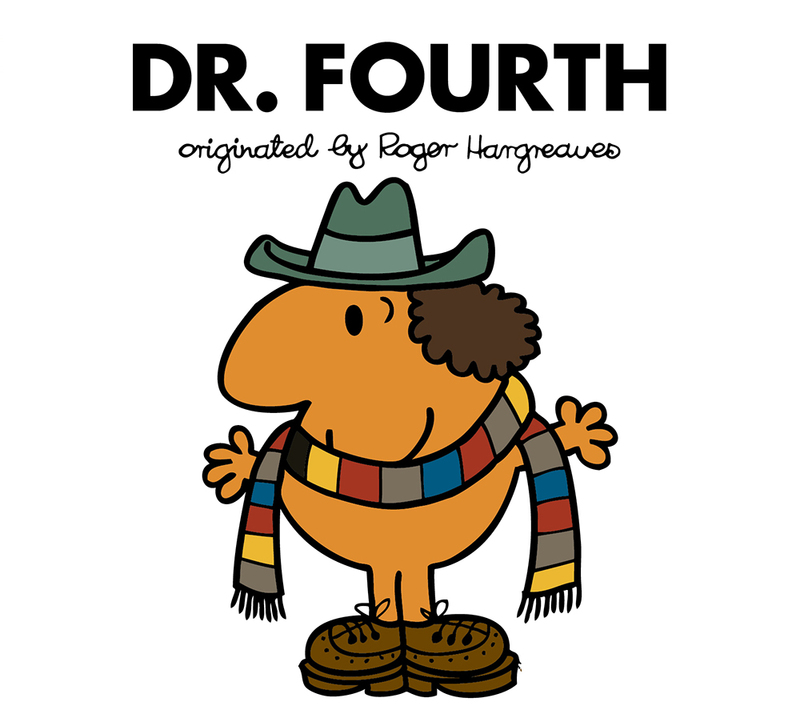 We even get to hear Dr Fourth ask a pigeon if he’d like a jelly baby. 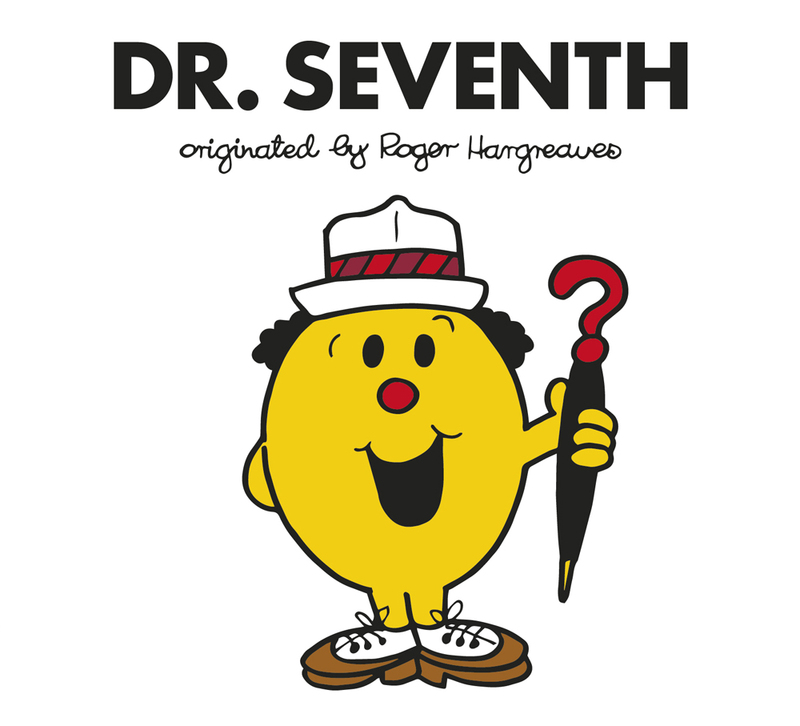 While Dr Fifth was one of the latest books to be released, there is no sense that any care had been lost on it. If anything, it’s jam packed with things to make any Whovian excited. The story sees the Doctor, Nyssa, Tegan and Adric visit an Earth supermarket to buy food (which, let’s face it, probably happened between the TV episodes) only to be trapped by the Master. Not only does the story have a brilliant Master in disguise as an old lady, but we’re also treated to a cameo from an Earthshock Cyberman. 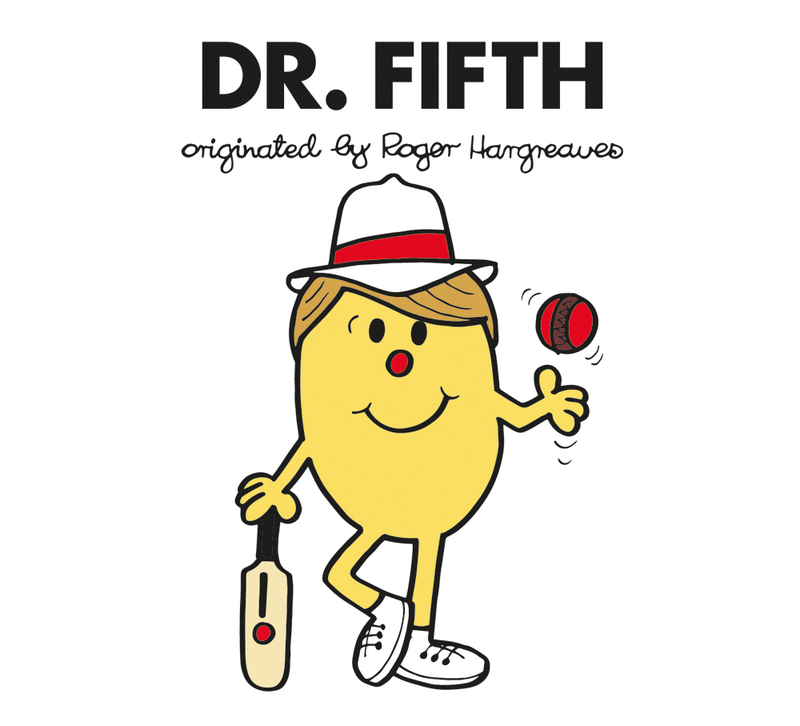 Dr Fifth is just as charming as his on screen counterpart, with a colour palette that echoes his cricket clothing without having to show it. Nyssa and Tegan are fairly decent recreations, but Adric has to be my favourite character out of the whole series. 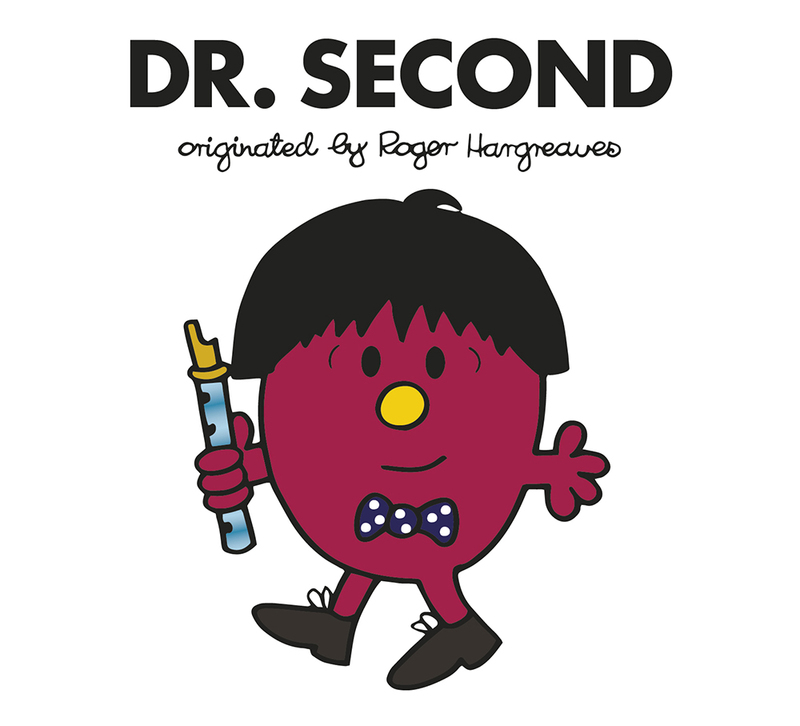 I’m not especially a fan of Adric, but his Mr Men character just looks perfect! He’s smaller than the others, reflecting his youthfulness, and his outfit colours, star badge and hairstyle all make him instantly recognisable. His attitude towards his fellow companions and occasional naivety is translated well in the story. 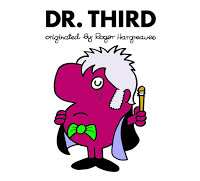 The sixth book in the series, the halfway point, and once again Roger Hargreaves’ talent for recreating the Doctors shines again. 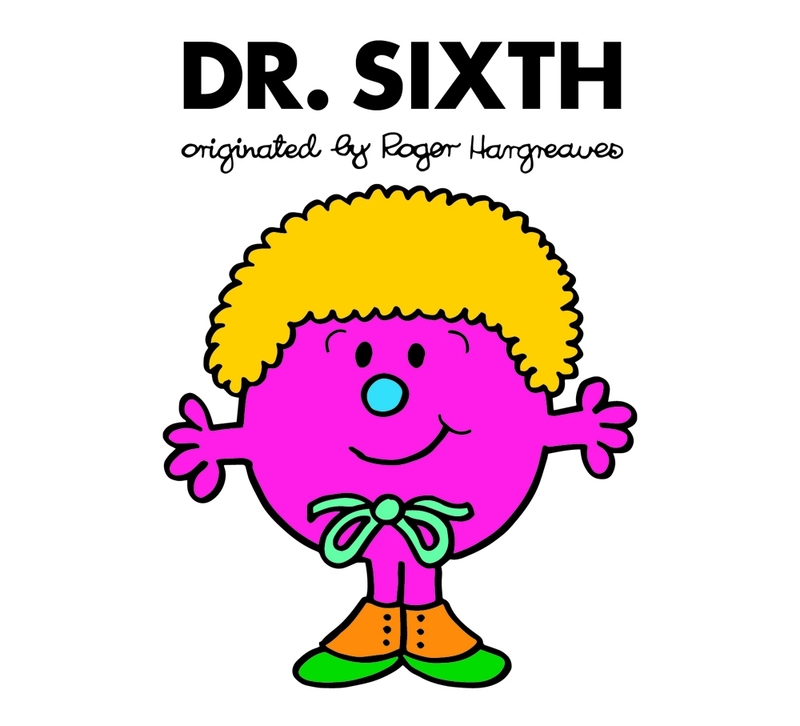 Dr Sixth’s garish colours mimic his infamous outfit, while his feisty temper and love of fancy words is captured perfectly. The story sees the Doctor and Peri land on a strange blue planet, only to be attacked by the locals who are under the spell of the Rani. This story differs from the others in that it effectively has a new villain (or rather sub-villain) with the blue people, which is a brave choice, but it works okay and leaves more room in the spotlight for the Rani. 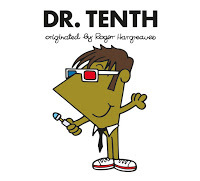 Peri and the Rani are both depicted brilliantly in this book. It’s weird to think that a triangular body, dark hair and boots can somehow make the character look so much like Peri. 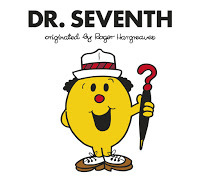 If the question mark umbrella and panama hat didn’t give it away, the giant smile on Dr Seventh’s face while he’s performing a magic trick really emanate’s Sylvester McCoy’s inimitable style. The story sees the Doctor and Ace off to visit a friend in the woods, but instead being pestered by the Cheetah People and the Master. It does seem like the Master is being overused a little in this story, given that the Cheetah People make an interesting (and visually exciting) enemy. Other than her hair and backpack, the illustrated version of Ace is not a great interpretation. She could have perhaps done with a few badges or a different colour scheme to get the personality of the character across a bit better. 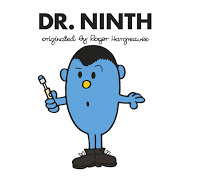 Even her nitro 9 looks more like a stick of dynamite with ‘9’ painted on it, although I guess this is to make it more obvious to younger readers unfamiliar with the show that it’s an explosive. And she does still call the Doctor ‘professor’, so there are a few nice touches for the fans. Despite being one of the lesser known Doctors (due to his small screen time) the Eighth Doctor’s story excels in giving him not only an exciting story, but one with a great moral message in. The first part of the story sees the Doctor saving a bunch of humans from an exploding spaceship, while the second half sees him teach the Silurians and Sea Devils to share. I really like that they made this an educational story for younger readers and if anything it makes me wish the other books had more messages like this. While the Eighth Doctor doesn’t have a great deal of recognisable features or accessories, his illustrated character is a good interpretation. The Silurians and Sea Devils are also beautifully recreated. 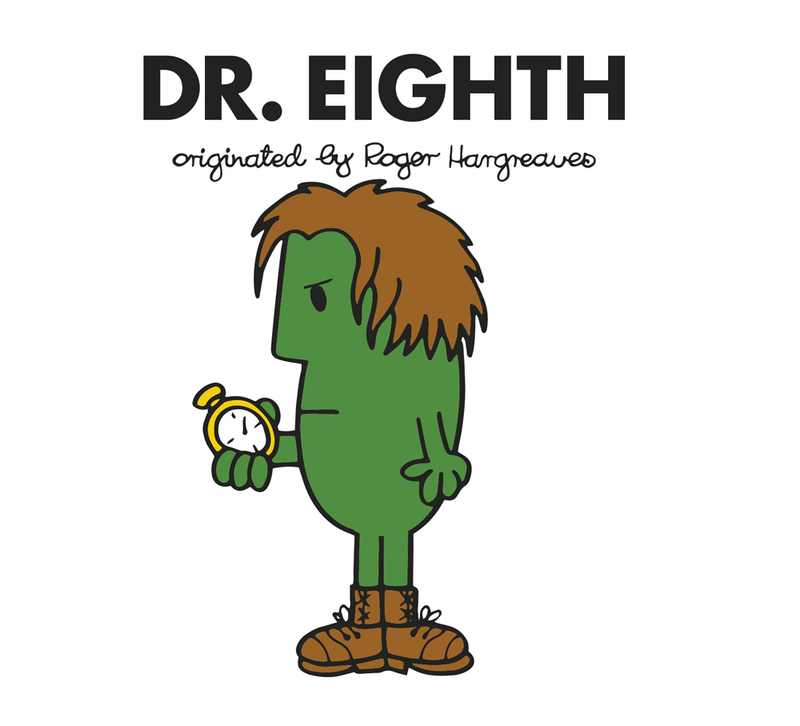 We’re now into the modern Doctors and, once again, a Doctor that is quite difficult to translate with just hair and shoes, though Hargreaves does a decent job of it. The story sees the Doctor, Rose and Captain Jack facing off against Auton shop window dummies. This book is full of nice little moments, from the Doctor admiring a mannequin wearing a long multicoloured scarf to the trio beheading the Autons with lettuces. This book is probably the silliest of the bunch, but it’s a fun, childish humour that makes a familiar story engaging for readers. 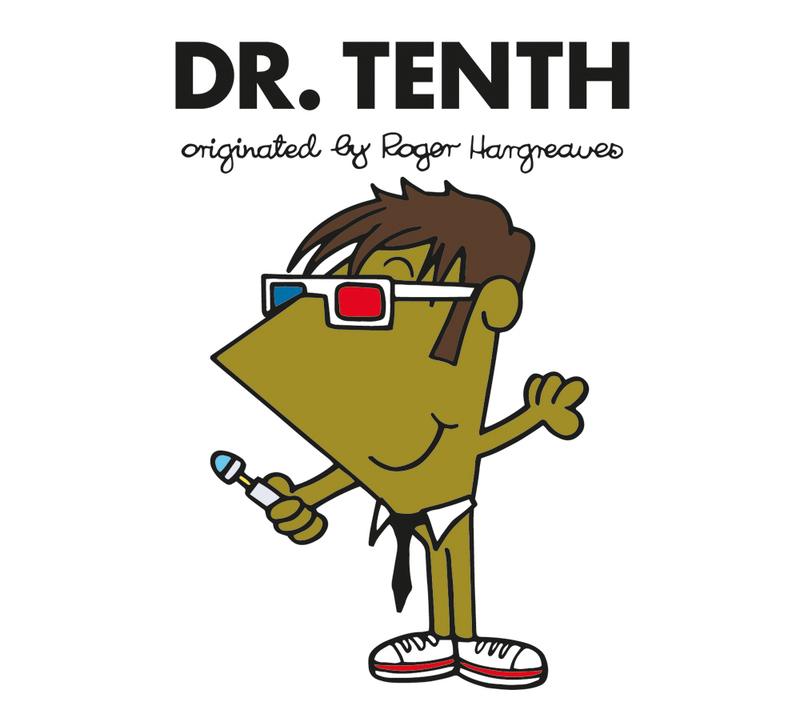 This Doctor’s appearance is quite different from his predecessors, with a triangular body instead of a rounded body, but it feels right for the character and helps to make him recognisable, along with his spiky hair, trainers, and shirt collar and tie combo. The story has the Doctor’s peaceful holiday being interrupted by a Sontaran. 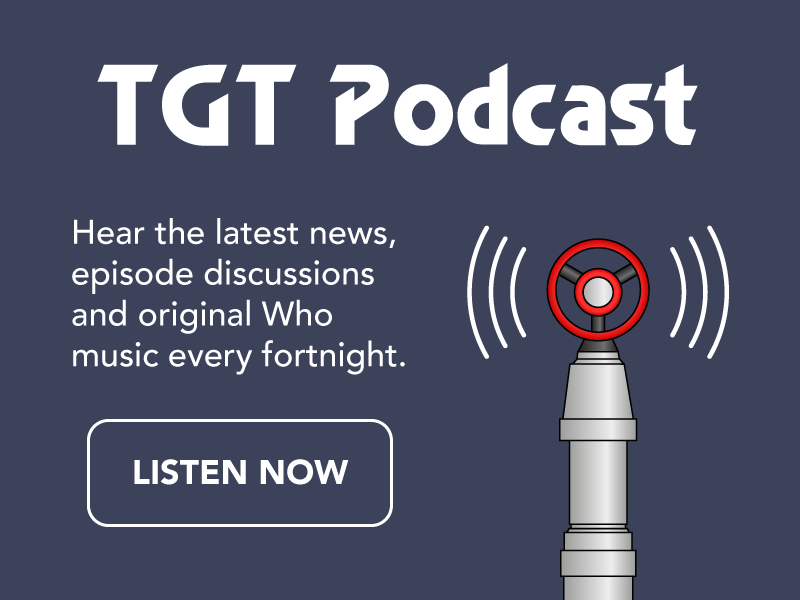 This story feels quite repetitive, with the Doctor repeatedly trying to prove to the Sontaran that he is not his enemy, but we do get a nice cameo from an Ogron and some fun antics with the Sontarans. It’s also quite odd this Doctor does not have a companion. Although he was alone during the specials, the Tenth Doctor had a number of companions that could have been used here. Even though Rose and Captain Jack are used for Dr Ninth, there’s still Martha and Donna, or even Wilf at a push. 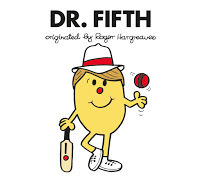 I mean come on, who doesn’t want to see a Mr Men version of Wilf?! 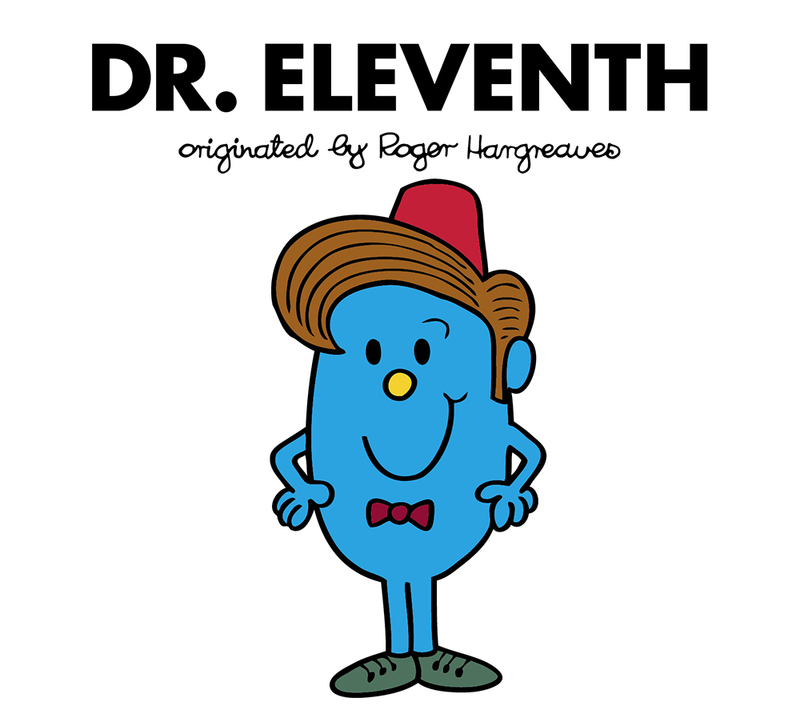 The trademark quiff and bow tie is all you really need to recreate the Eleventh Doctor, which is why Hargreaves’ illustration works so well. 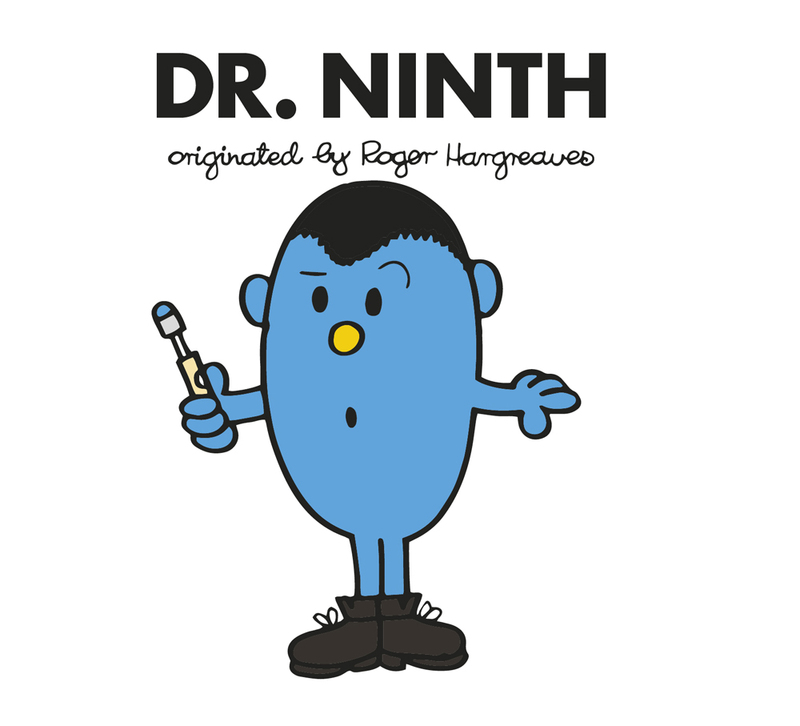 River looks great as a Mr Men (or Little Miss?) character, although her trademark ‘sweetie’ is overused just a little. The story sees the Doctor and River trying to find the Doctor’s fez, a tale that seems perfect for this Doctor. Along the way we encounter some funky looking Zygons, more Silurians and some not-very-scary Weeping Angels. It’s a fun story, with lots of treats for fans and some visually stunning moments. 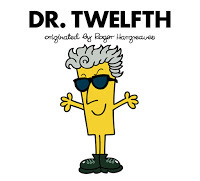 The final story in the book (though one of the first to be written) features a spot on representation of the Twelfth Doctor, with his long face and wild grey hair. Missy is also faithfully recreated, with her purple palette and trademark hat. 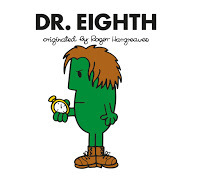 The story follows the Doctor chasing Missy across time, trying to stop her committing crimes and stealing objects. The weird thing is, we purposely don’t know why she was committing the crimes. She tries to explain at the end, but the Doctor just flies off in the TARDIS. I personally love this, as it’s a great nod to the Master’s constant need to explain his plans, but I do fear some kids may be confused and left unfulfilled after reading the story. Again we have a bit of culture in this book, with various eras and landmarks including the Egyptian pyramids and the tower of London. This also means there’s more time travel involved, which is reflective of the Twelfth Doctor’s era. 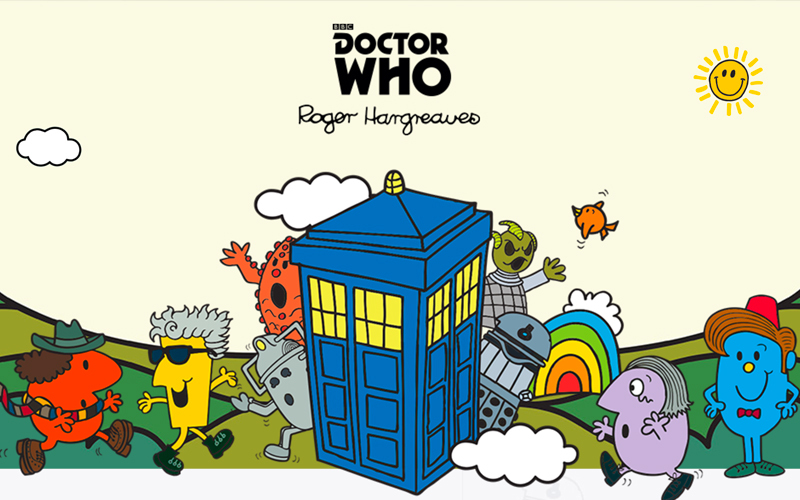 Roger Hargreaves manages to combine both the humour and innocence of the Mr Men style with the wonder and eccentricity of the Doctor Who world, capturing each Doctor’s personality perfectly.Whilst the stories may not always be factually accurate, they are faithful enough to give non-fans an introduction to the series, with plenty of in-jokes and visual treats for fans. I would highly recommend these books, both as an enjoyable read for younger kids and a nostalgic bit of fun for grown up kids (or ‘adults’ as they’re sometimes called). 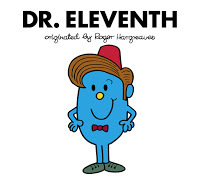 And who knows, maybe we might be revisiting the Mr Men world soon with the Thirteenth Doctor.